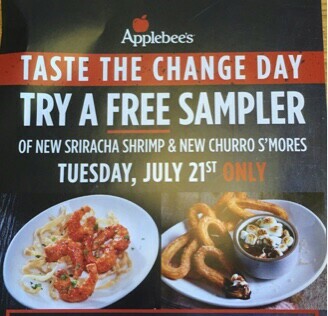 Applebee’s is serving FREE Appetizer Samplers TOMORROW, 7/21. Why would you miss that? The clarity to your put up is just spectacular and that i could suppose you are knowledgeable in this subject. Excellent site. A lot of helpful information here. I’m sending it to some pals ans additionally sharing in delicious. And obviously, thank you in your effort!